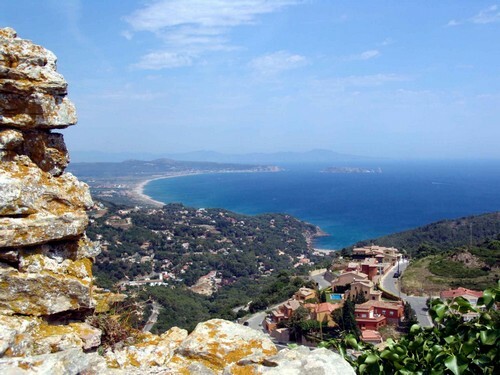 Main symbol of the town and its most famous viewpoint, Begur Castle contains, even in its current state, centuries of ancient and eventful history. Its visit is highly recommended for those wishing to enjoy a pleasant walk ended with an unforgettable scenic view of the center of the Empordà. Although Iberian civilisation remains have been found on the same mountain, the origins of the castle dates back to the XIth century, when the feudal lord, Arnust of Begur, built this on one of the highest mountains of the village for the strategic position and the good views it provided. The building passed through different owners until King Pere IV the Ceremonious sells it to the Cruïlles family in 1360, which retains it until 1604, when Baron Carles de Vilademany Cruïlles sold it to city council of Begur, a very important fact, because it no longer returned to private hands again. 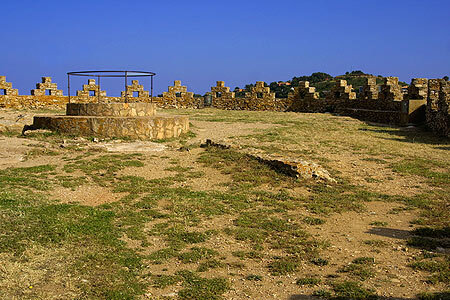 As can be seen, despite its charm and beauty, Begur Castle only keeps its foundations. Its current state is the result of its historical facts, a price that had to pay for its excellent strategic location. Panomaric view got from Begur, in Girona, Costa Brava. Begur Castle is on the right side. The castle has suffered during history three major destructions. The first one, during Catalan Civil War (1468), the second during the raid led by the French Duc de Noailles, in 1694. And the last and so far the final one, during the spanish War of the independence against the French, in 1810. 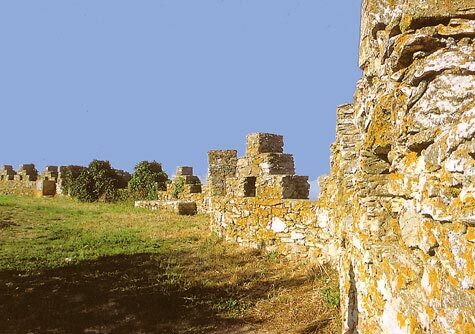 The current state of the castle, with the top decorated with beautiful merlons, is a delicate restoration work carried out during the XXth century. The entrances have also been conditioned so that it is now possible to visit even for people with limited mobility or moving in a wheelchair. There are no interior places to visit on the castle. This post was written by Alex Rigola who has written 60 posts on Costa Brava Blog. Alex Rigola is Costa Brava's editor and an ampurdan passionated who enjoys sailing his little boat through the Costa Brava coast. He currently lives in Pals and if you use to ride along cycling routes in the area, it's very likely that you encounter him at some point. When asked about his favorite spot on the Costa Brava he never hesitates for a moment: Cala Montjoi.